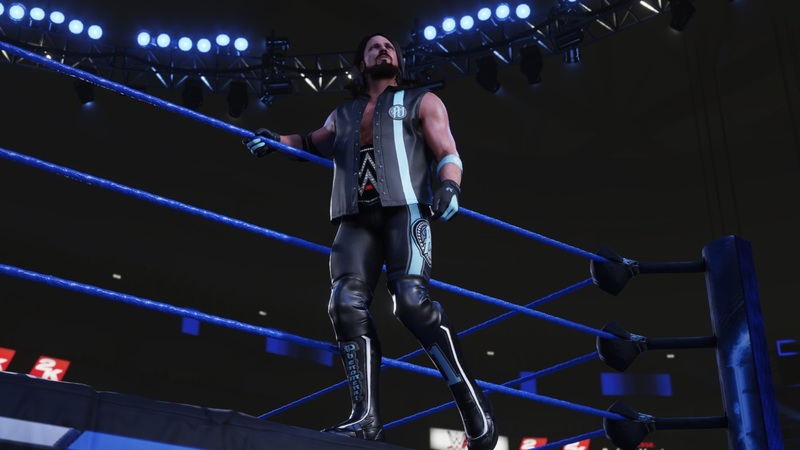 Explore more games and downloadable content for WWE 2K19! © 2005-2018 Take-Two Interactive Software, Inc. and its subsidiaries. 2K, the 2K logo, and Take-Two Interactive Software are all trademarks and/or registered trademarks of Take-Two Interactive Software, Inc. Developed by YUKE’S Co., Ltd. YUKE’S Co., Ltd. and its logo are trademarks and/or registered trademarks of YUKE’S Co., Ltd. All WWE programming, talent names, images, likenesses, slogans, wrestling moves, trademarks, logos and copyrights are the exclusive property of WWE and its subsidiaries. All other trademarks, logos and copyrights are the property of their respective owners. © 2018 WWE. All Rights Reserved.